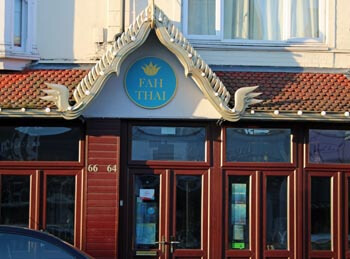 Home to The King's Theatre, The Wedgewood Rooms and numerous pubs and bars, Albert Road in Southsea is renowned for its wide choice of restaurants. 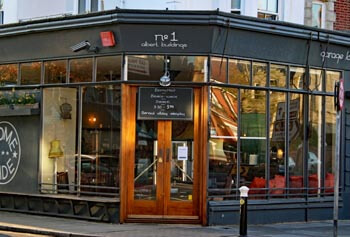 Albert Road has restaurants serving food from around the world, Indian, Chinese, Thai, Morrocan, Polish, traditional British cafes and Spanish Tapas, all of these are available from one of Albert road's many restaurants. 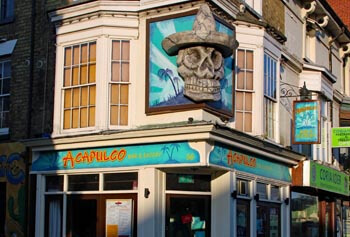 The Acapulco Bar and Eatery sits on the corner of Albert Road and Duncan Road. It serves a wide range of Mexican and Tex-Mex food including Burritos, Chillies, Tacos and Chilli Dogs. 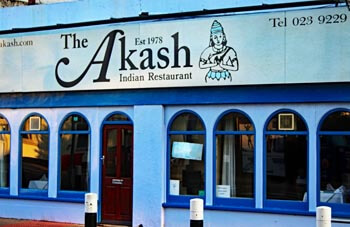 One of the longest established Indian restaurant's in Portsmouth, the Akash Tandoori Restaurant was founded by George back in 1978 and has been serving great Indian food ever since. All of your favourite Indian dishes, be sure to book as the Akash is always busy. 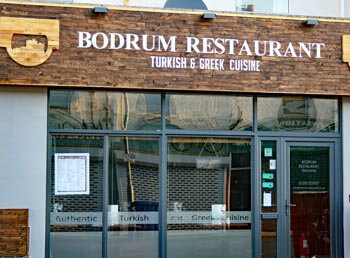 The Bodrum Restaurant is a family-run business serving Turkish and Greek cuisine. There is an extensive menu and all the food is cooked freshly to order. The headchef Kazim is assisted by his wife Bedriye, his sons Emrah and Emre, and his friendly team of staff. 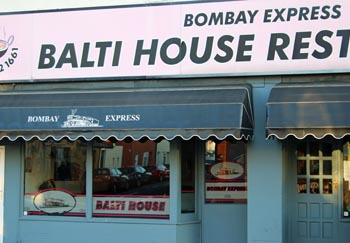 The ever popular Bombay Express Balti House has been serving classic and speciality Indian dishes for more than a decade. Bring your of wine and beer, no corkage charge. Eat in, takeaway and delivery service. 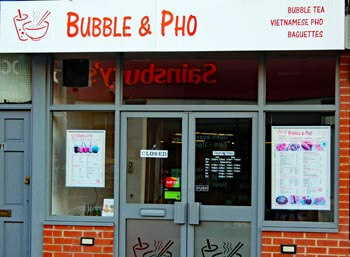 Bubble and Pho specialise in Pho, noodles from Vietnam and Bubble Tea, the flavoursome tea from Taiwan. The wide and varied menu includes vegetarian and vegan options, and all the dishes are freshly made by hand. Brazilian chef Silvana De Castro, Bronze Medal 2010 of "Salon Culinaire", prepares a great variety of fresh cakes, sweets and savouries. A pleasant garden to the rear, makes this a perfect place to enjoy a piece of cake and a hot drink! 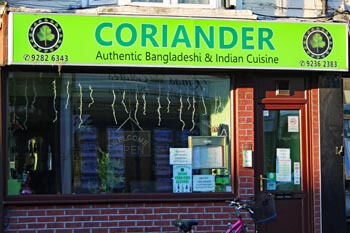 The Coriander Restaurant embraces the art of healthy, authentic Indian cuisine. The Corriander serves many popular dishes as well as some Chef's specials, although not licenced to sell alcohol, you can bring your own. The Fah Thai restaurant specialises in contemporary Thai food with authentic flavours using family recipes and fresh ingredients.The Fah Thai is elaborately decorated in the Thai style. A full restaurant and takeaway service is available. The Garage Lounge was established in 2012 on the corner of Albert Road in a converted tyre workshop. It is now a comfortable, antique coffee lounge serving homemade cakes and classic dishes such as breakfasts, sandwiches and salads. The Golden Curry is a traditional Indian restaurant serving a wide range of classic Indian & Bangladeshi dishes. 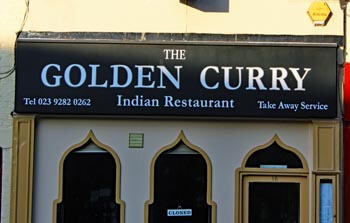 The Golden Curry is fully licenced and is air conditioned, as well as the restaurant, takeaway meals and deliveries are available. 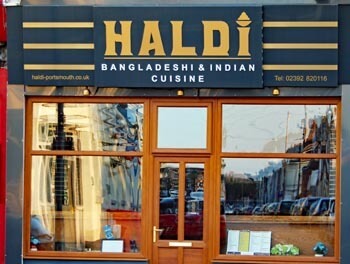 The Haldi restaurant serves Bangladeshi and Indian cuisine created by their multi award winning chef. The Haldi serves all of your classic favourites as well as some lesser known specials such as Uri Bisi Murgh and Sylheti Gosht. 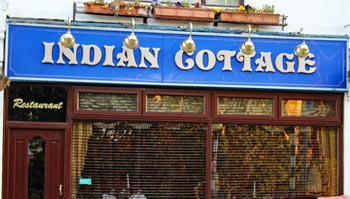 The Indian Cottage restaurant serves Indian and Bangladeshi cuisine, the restaurant prides itself on maintaining old fashioned values such as the use of fresh ingredients to create fantastic food. 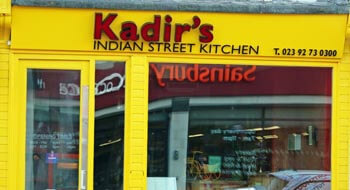 Mohammed Kadir, is the owner and head chef at Kadir's Indian Portsmouth. The food here is inspired by food found on the streets of India. Kadir's offers a wide range of dishes as well as daily specials, the restaurant is not licenced for alcohol, so bring your own, there is no corkage charge. 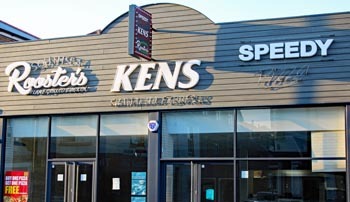 Part of Ken's local food empire, Ken's kebabs and speedy pizza, as the name suggests serves kebabs and pizzas, takeaways and delivery service available. 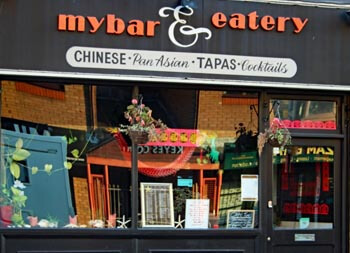 My Bar and Eatery serve Chinese and Pan Asian Tapas, as well as a wide range of cocktails. Although specialising in Chinese food, they also serve dishes from around Asia such as Singapore Noodles and Satay. 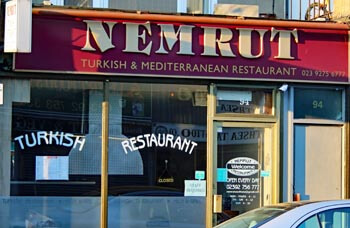 Nemrut specialises in delicious and exotic regional dishes from across Turkey. They provide a wide selection of traditional Turkish dishes, Turkish wines, raki and coffees. 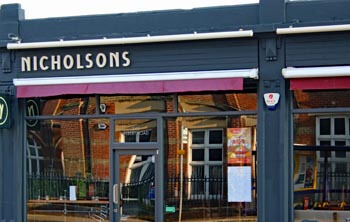 Nicholsons strive to serve great tasting food. 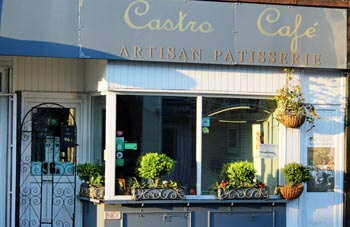 Authentic Spanish Tapas and wholesome main courses in a relaxed setting, at a great value price. Authentic tapas, paella, fresh seasonal fish, steaks and daily specials. 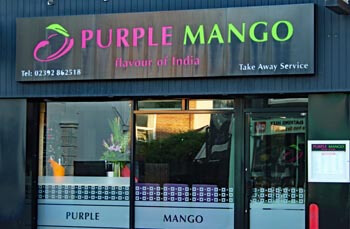 The Purple Mango is a bright, contemporary Indian restaurant in the heart of Albert Road. There is a large menu of dishes to choose from including all of your Indian favourites, plus a lot more. The Thailand Cafe and Takeaway is a gem of a restaurant on Albert Road. 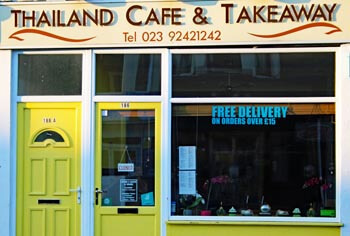 Serving a wide range of delicious Thai food, the Cafe has a large garden patio area at the rear where you can enjoy al fresco eating when the weather is good.Takeaway meals are also available.